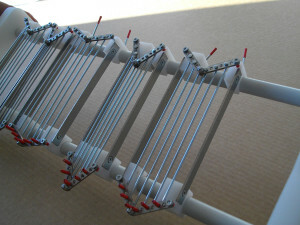 RailReed is a new reed invention which can adjust warp density and fabric width while weaving and an alternative to open reed and fan reed, which both have pros and cons in manipulating threads while weaving. Textile artist and Educator Kadi Pajupuu has invented and built a new type of reed. It consists of sliding modules which lets the weaver adjust the density of warps while weaving and even dramatically change the width of fabric from narrow to wide and back. The reed can be easily attached to a beater. 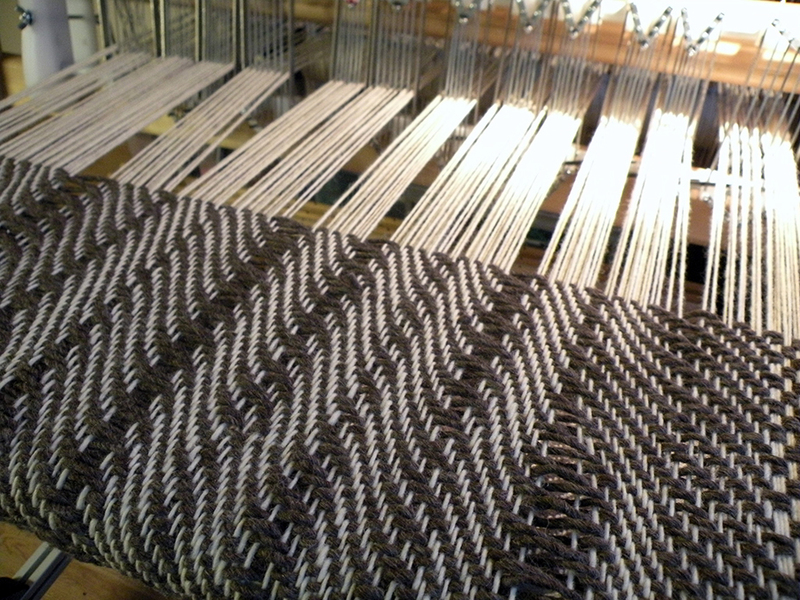 Since September 2015, when the Scandinavian weaving magazine VÄV published an article about Kadi’s inventions in weaving, several weavers have ordered the reed to experiment and give feedback to the developing team. 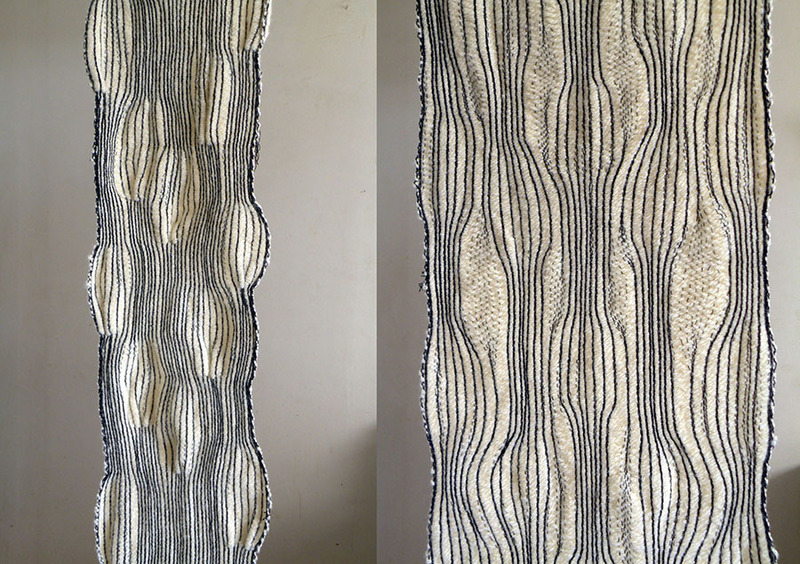 The samples presented were woven with a 5-module RailReed by Juula Pärdi from Tartu Art College. 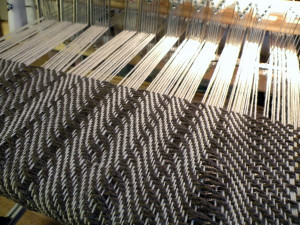 Kadi Pajupuu is testing 12-module RailReed to make optical variations of twill. This entry was posted on Thursday, December 3rd, 2015 at 1:00 pm	and is filed under General, New weave developments, News. You can follow any comments to this entry through the RSS 2.0 feed. You can leave a comment, or trackback.